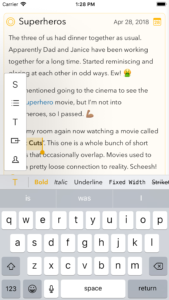 If you’re a regular reader of the site, you already know that elegant note-taking apps are a dime a dozen. 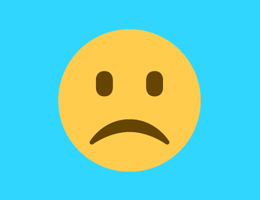 Some manage to stand out with unique features while others manage to squander any potential with poor business models. 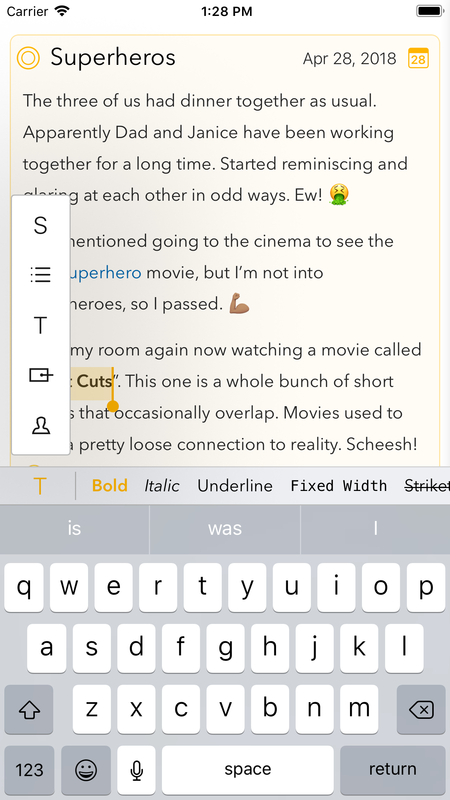 There are a few noteworthy apps that still manage to be worth using after a couple of weeks, like Bear. 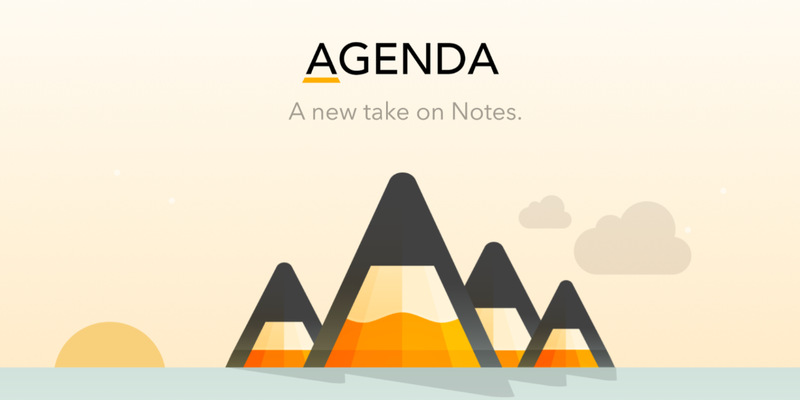 Agenda from Momenta isn’t just an elegant note-taking app. It is that, supercharged with some essential features that other non-note-taking apps provide, all blended in perfectly. 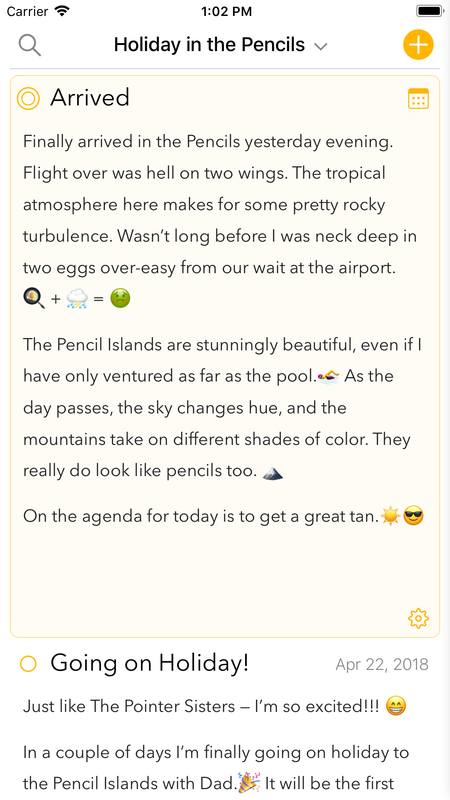 Agenda is an app I never thought I needed until I actually used it. 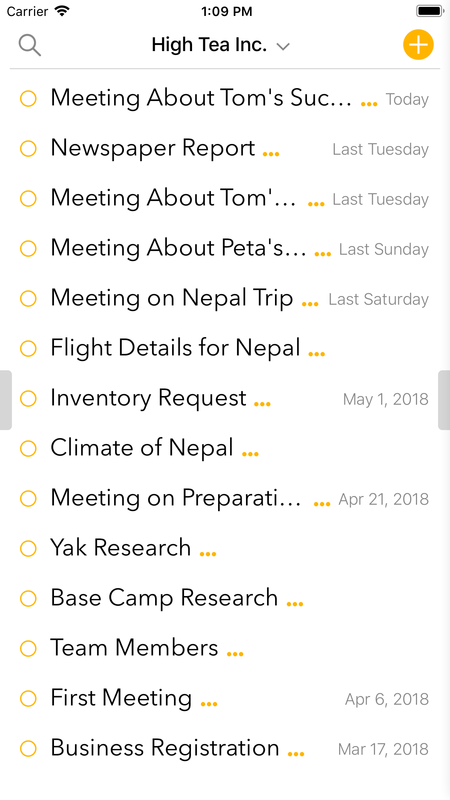 Instead of just being a great environment to write in and provide seamless sync (Agenda does these really well), the app is more focused on planning, documenting, and organizing your notes. In fact, I’d go so far as to say that the actual note-taking aspect isn’t even the meat of the app. 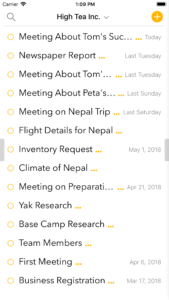 Agenda wants you to document and date your notes and wants you to use the app in meetings, on vacations as a journal, and more. 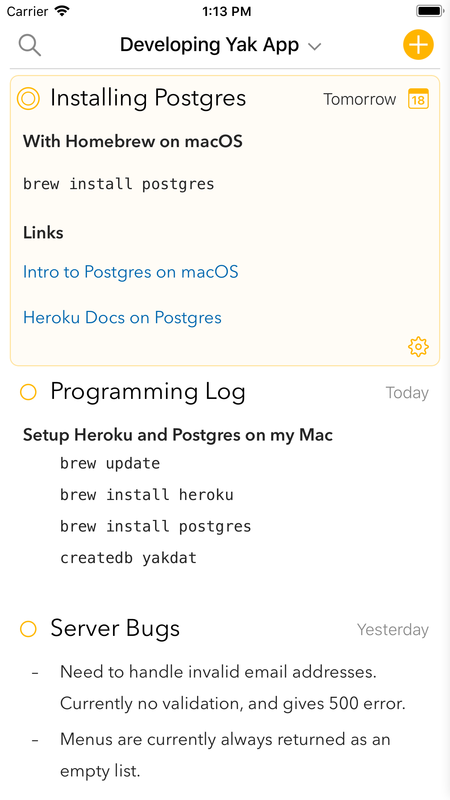 It even has a lovely timeline and loads of organization options for projects, groups, and notes. This seems quite complex at first, but a lot of the functionality is optional and the app itself is free to use with a good amount of features. 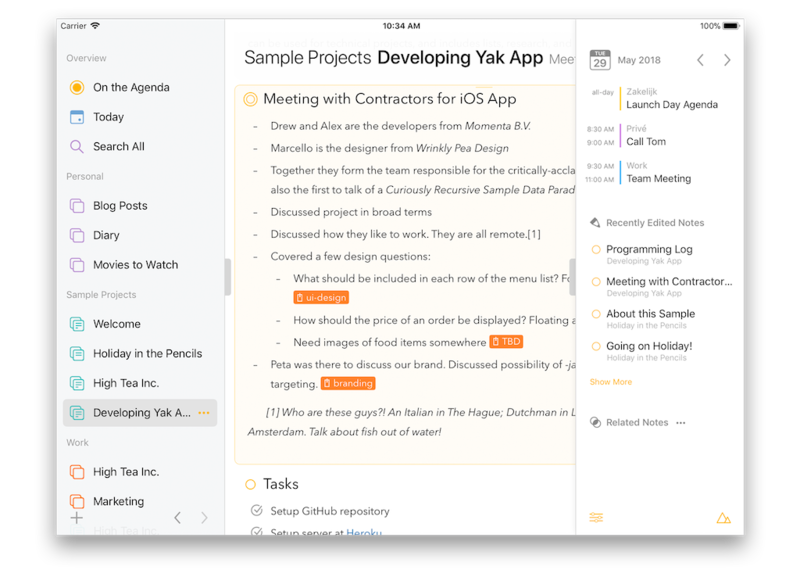 Agenda has an interface that recedes into the background when it isn’t needed and lets you focus on actually writing. 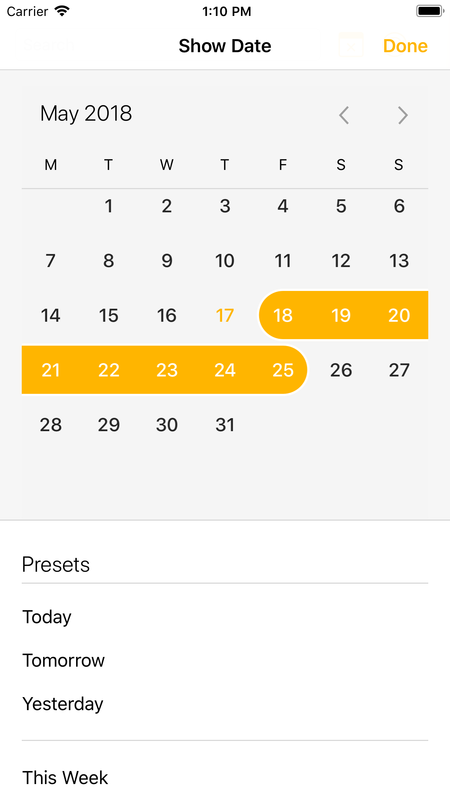 You can swipe from either side to access the sidebar on the left that has all your projects and the overview or the calendar on the right. 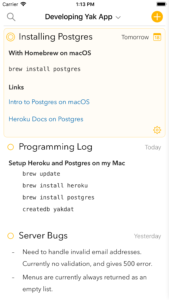 The actual note taking supports Markdown, HTML, checkboxes in lists, and more. If you use an iPad, it has great external keyboard support. In fact, I’ve written this entire article completely in Agenda. The onboarding experience is a bit disappointing on iPhone because you’re forced into a landscape video as soon as you launch the app the first time. I get why they did this, considering the app and video are on multiple aspect ratios, but I was hoping they’d do a portrait one or an interactive overlay on the actual app to get newcomers up to speed with the feature set. Agenda’s pricing model is what I’d consider the best current model for smaller studios. You get the app for free with limited functionality and have the option to pay $9.99 for a year of Premium features that you get to keep even after the year ends if you just want it on iOS. If you want the features on both iOS and macOS, it is $24.99 for a year of support and new features. While many apps are moving to subscription models, this one is the most consumer-friendly one, because you don’t get locked out after the subscription period ends. You can then wait and see if there are more new premium features added before subscribing again. I wish more apps did this and I hope it works out well for Agenda. 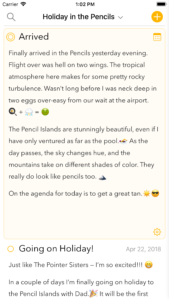 Agenda is a gorgeous and elegant note-taking app that is beyond powerful and can do many things for you brilliantly. It can easily replace a few of your apps in a single go and the sync works brilliantly. While many apps have issues with iCloud, I had no trouble here. I can’t wait to see how the team evolves the app as time goes by. 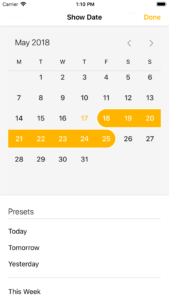 With the initial launch on iOS, I can see this replacing a notes app, a journaling app, and to some extent a calendar and to-do app for many as well. Agenda is available for Free as a Universal app for iPhone and iPad. There’s also a Mac version available on the Mac App Store.